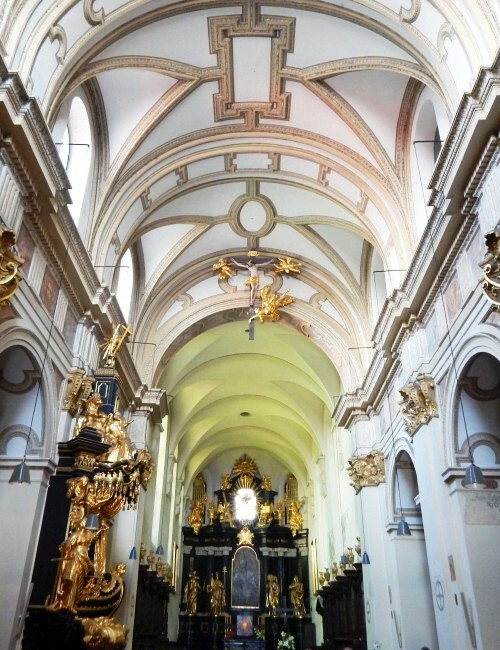 Visit the oldest monastery in Poland! The first monks living according to the rule of St. Benedict arrived to Tyniec in the 11th century. The legend tells, that the medieval owners of the village came into conflict with Prince Casimir the Just, who finally deprived of their land and settled the monks on the Tyniec Hill. Enjoy the incredible journey to the monastery, which stands on the rocky riverbank of the Vistula River almost a thousand years, being a place of work, prayer and meditation to hundreds of monks in black habits. During our Tyniec sightseeing we go for a walk through the monastery courtyard, watch the beautiful interior of the church and admire the medieval monastery cloisters. We will also see the remarkable collections of the Museum of the Tyniec Abbey with many archaeological artefacts from the period preceding the foundation of the monastery. Tyniec is an extraordinary place – historical buildings, magnificent landscape, and aura of concentration and prayerfulness create its unique atmosphere. Benedictine monks of the Middle Ages were famous for their tenacious, patient work, especially writing, copying and illuminating the books (there is many valuable codes in Tyniec Library). Nowadays, they are still engaged in historical research and publishing, but they are also known for their natural and healthy products (honey, herbal tinctures, cookies, pasta), which can be bought in the monastery shop. Tyniec Abbey sightseeing tour is a unique spiritual experience and a wonderful opportunity to have commerce with history and art of the highest class. Discover this wonderful place, where people praise God by prayer and work for nearly a thousand years! 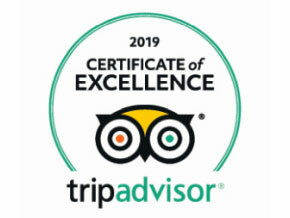 Our Krakow guide is always concerned about the comfort of tourists and pilgrims, so we offer You a delicious meal at a promotional price during the Tyniec sightseeing. Entering the picturesque courtyard of the monastery, You will notice the unique beauty of the place, full of peace and dignity. Space is limited by convent buildings, monumental block of the monastery church and the wall separating us from the slope descends towards the river. There is a well at the middle of the courtyard, just like centuries ago. Stroll through the Monastery area and a moment of admiring the view from the hill – this two pleasures make Tyniec sightseeing an unforgettable experience. The two distinctive towers of the church are prominent features of a landscape. The first, Romanesque basilica was built here during the reign of Boleslaw the Generous (second half of the 11th century) and was destroyed by the Tatar invasion. One of its remains is a small portal (currently in the wall, which connects the church and monastery cloisters). 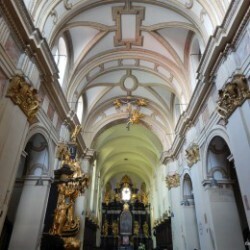 In the Tyniec church You can admire the Gothic choir and baroque naves. 18th-century high altar designed by Francesco Placidi and made of black marble is really impressed. Beautiful, late baroque ambon carved with great finesse in the shape of a boat is absolutely worth attention as well. We will also explore the Romanesque crypts located under the flooring. You should know, that the unique, 11th-century travel chalice with paten was found here, in the grave of the abbot (one of two finds of this type in Europe; it is currently kept in the Wawel Cathedral Museum). The monastic buildings were damaged many times during their thousand-year history, but the monks always rebuilt them with Benedictine patience. The last restoration has been started, when Benedictines return to Tyniec in 1939 (in the nineteenth century the abbey was closed down by the authorities and there was not a single monk over 123 years). Gothic cloister, however, survived to our times. We will have the opportunity to see there even some parts of eleventh-century walls! Strolling under the gothic vault, You can breathe a unique atmosphere of a medieval abbey. 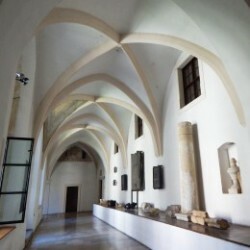 The museum exhibition in the Tyniec monastery is arranged in a very modern and clear way, but the original artefacts do not lose any of its historic charm. We will see an excellent collection of Liturgical manuscripts, vestments and instruments, but the most interesting part of the museum is lapidary, where the astonishing relics of Romanesque sculpture are presented (among other things famous twin capitals). The delicacy and charm of Roman braids are truly delightful. Prehistory enthusiasts will be certainly intrigued by archaeological findings from the times of the Celtic settlement on the Tyniec hill.